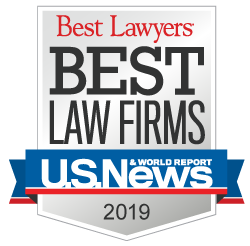 Attorneys, Thomas Demetrio and William Gibbs, both trial lawyers at Corboy & Demetrio, a premier personal injury and medical malpractice law firm in Chicago, were featured in an article entitled "Becoming a Trial Lawyer," published in the Chicago Lawyer. Tom Demetrio talked about the many lessons young associates receive before going into a courtroom to try a case and he said trial preparation is the most important one. "The art of preparing for trial is the biggest and best experience (a young associate) will take away from the trial after the jury reaches its verdict." He and Bill Gibs, a young associate at Corboy & Demetrio, were, at the time the article was written, intensely preparing a Metra railroad derailment lawsuit where they represented a passenger seriously injured in the derailment. At trial, the attorneys secured a $29.6 million verdict for the passenger. Bill talked about how Corboy & Demetrio mentors young associates. " I think that the focus of this firm is such that they are very attentive to the need to develop young trial lawyers. I think that the lawyers of this firm are just by nature teachers and mentors."